Our Events: A Beatles Magical Mystery Tour Birthday Party — Everybody's Invited! Roll up! Roll up for the Mystery Tour – step right this way! 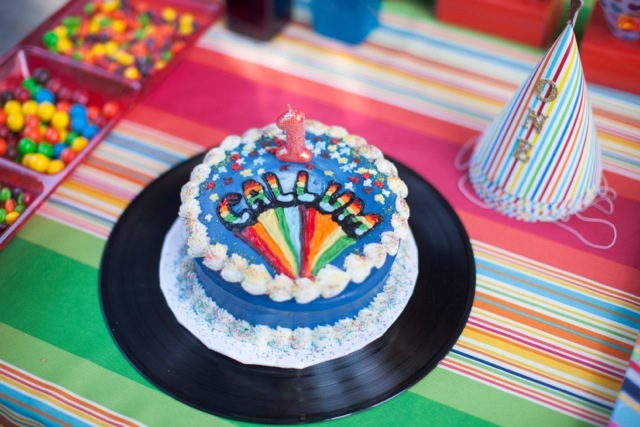 Favors: Callum’s 1st Year Hits on “vinyl.” Callum’s mom put together a mix of songs that she and Callum listened to during his first year of life. She plans to keep up this tradition on Callum’s birthday each year (a great Moment, if you ask us!). The actual CDs look like vintage records, adding to the retro vibe of the party. Babies at the party were also given bubbles that looked like microphones. All You Need is Love posters decorated the backyard fence. Everybody’s Invited! made these posters to look like signs The Beatles once held in this iconic photo. 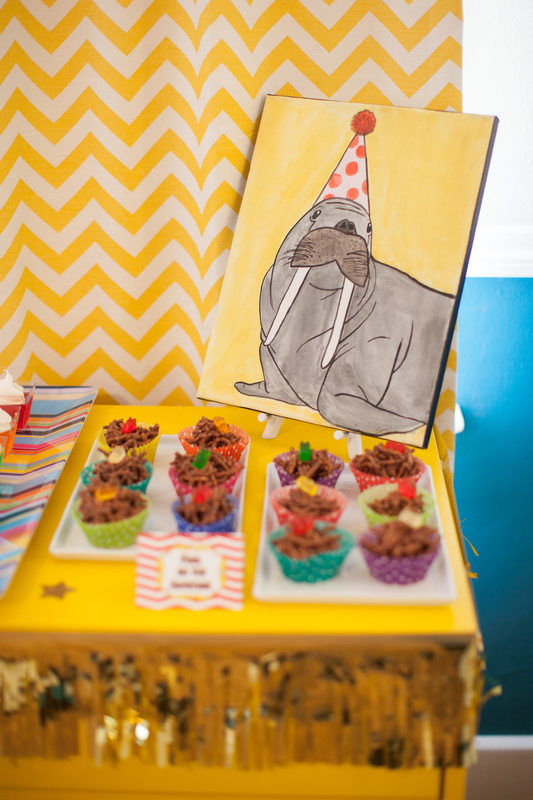 On the menu – treats inspired by songs on the album: Strawberry Shortcake Forever, Yellow Matter Custard Cakes, Jello Goodbye, Fool on the Haystacks, Your Mother Should Snow Cones, Baby You’re a Rich Man Chocolate Coins, Magical Mystery Cupcakes, and I Am The Walrus Cupcakes. I am the Walrus, goo goo g’joob! Everybody could be the walrus in this photobooth inspired by the Magical Mystery Tour album cover. Everybody’s Invited! created a mini Magical Mystery Tour bus for the kids to play in – they loved it! All you need is love… and cake! That’s one happy little boy! See more pictures of Callum’s Magical Mystery Tour birthday party on our Facebook page.